In 2016, the club faced a challenge, according to Rob Squillacioti, head of marketing, digital and fan engagement, who told ad:tech 2017 attendees that although football has a high participation, less than half of kids under 15 who play support a team. Around 2.18 million Australians participate in grassroots football; however, research shows that more than half of kids aged 15 years and under don’t support a Hyundai A-League team. That unsettling realisation led to the birth of the FFA campaign, ‘You Gotta Have a Team,’ hatched in concert with BMF. Squillacioti said the sole objective was to motivate the millions of Australians who play football to get on board, show their colours and pick a Hyundai A-League team, because ultimately ‘You’ve Gotta Have a Team’. 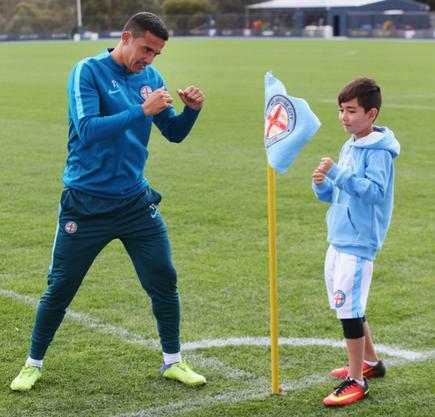 To do this, the club captured attention by focusing on storytelling and its unusual hero, Yoshi, a 10-year-old football-crazy kid who got up and personal with every Hyundai A-League team, then told the story through digital channels to help everyone make a choice of team to support. With today’s audiences much wiser and more tech-savvy, brands need to provide deeper connections, Squillacioti said. “We all need to capture the attention of our audiences and be a lot smarter in how we do things,” he said, explaining the organisation has a four-year vision to grow fan connection. BMF client services director, Dan Lacaze, said the campaign, which captured 238 million earned media impressions, was about harnessing the power of people’s love for their clubs. To find Yoshi, the club sent out an EDM to its Football Family database, or about one million Australians, Lacaze said, and chose him off his audition tape. “He had charisma, an interesting multicultural background. He had a great name, a very memorable name, which we knew was a powerful media hook and he was not wearing an A-League jersey, which was the exact person we were looking for,” Lacaze said. The campaign involved a six- to eight-week tour across the country, where Yoshi met players from all clubs. The integrated campaign included TV, Cinema, Outdoor, Radio, Digital, SEO, ten club content films and more than one hundred pieces of video content for social. Hyundai A-League fans were encouraged to follow Yoshi’s journey online and to lobby for Yoshi’s support via social media. Lacaze said the camapign results were impressive: Twitter engagement increased by 670 per cent; fans made over 400,000 social posts; there was a six per cent increase in social following; game attendances were up 34 per cent year-on-year; TV viewership increased by 46 per cent year-on-year; and the A- League broke its all time club membership record (six per cent increase in club membership year-on-year). 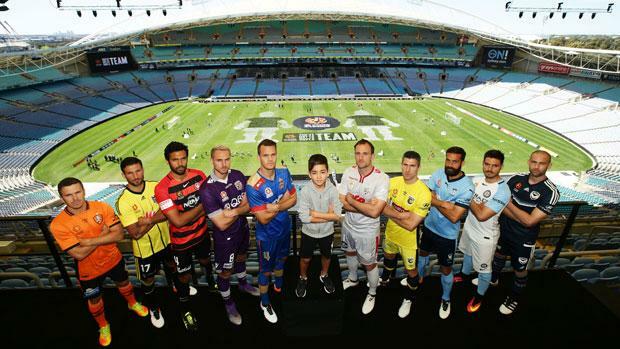 Additionally, the campaign’s impact helped secure the value of FFA’s biggest TV deal in the history of the league. Squillacioti agreed the campaign uplifted the brand and generated quite a nationwide buzz. “We had the country behind Yoshi," who ultimately chose Melbourne City as his team which was announced on TV. Lacaze said the campaign taught the FFA use the attention economy. “Use people's passion for something you can to spread your message - and that’s what we did. We didn’t have the media budgets nor the broadcast reach of Big Bash Cricket or AFL, we had to find something that people were passionate about, people wanted to talk about and people wanted to share and spread that message for us."